Social Responsibility is one of the mainstays of Global’s company policy, both in its objective of increasing worker-partner involvement in the company and in actively participating in the community it forms part of by giving something back to society to support labour, social, cultural and environmental foundations and projects. As a worker-owned company, GLOBAL understands that a company’s objectives should not only be to obtain economic benefits, but also to undertake actions that respond to the concerns of society, such as education, culture, eradication of poverty, respect for and compliance with human rights and protection of the environment. This means that GLOBAL, the largest social economy enterprise in the Canary Islands, is much more than just a passenger transport company. GLOBAL is an entirely Canary Islands company that takes the opinions of its worker-partners into account. The responsibility values prevalent in all its actions have led the company to become involved in the community, its customs and traditions, to contribute to social development and to take measures against environmental impact by reducing energy consumption. 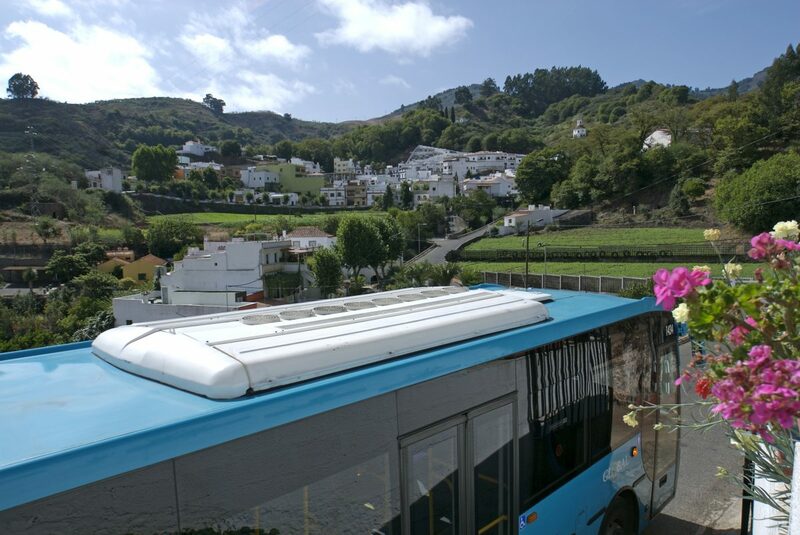 GLOBAL can be found wherever it is needed, in providing its usual bus routes and journeys in addition to special services to guarantee mobility for all the festivals, one-off events, and the regular cultural, business, sports and leisure events that take place in Gran Canaria. Therefore, in addition to its commitment to attaining excellence in the services it provides to the community, this modern, efficient company at the forefront of new technologies actively promotes numerous social responsibility initiatives that bring quality of life to the people of the Canary Islands. For GLOBAL, corporate social responsibility is an integral part of its daily management model. As a result, the top management has led the way with its corporate social responsibility strategy, actively involving everyone who forms part of the company. Company organisation: GLOBAL promotes equal opportunities for all workers so they may move forward in their chosen career in a working environment that watches out for their well-being, by means of initiatives channelled through the Labour Foundation FULCA. Business context: GLOBAL encourages transparency with its shareholders and the public administration, providing maximum quality to the users of its services and working in conjunction with companies in this sector. The environment: GLOBAL has devised an Energy Efficiency Strategy to fight climate change. It is a founding sponsor of FORESTA, the Canary Islands Reforestation Foundation, and works in conjunction with the public administration, organisations and ecology groups on initiatives designed to raise awareness and care for the environment, such as the UNESCO Chair in Sustainable Development at the University of Las Palmas de Gran Canaria, the Hydrobus project, to provide hydrogen-run buses for Macaronesia in an initiative of the Canary Islands Technological Institute, the invitation to discover the island through a series of walks and excursions provided on the GLOBAL web page and assistance for publications that encourage the use of public transport and hiking. Culture: GLOBAL takes part in cultural activities and festivals such as the Másdanza Festival, the GLOBAL Literary Contest and the Culture Bus. It sponsors research, courses and Chairs at the University of Las Palmas de Gran Canaria and supports the Maspalomas Summer University, the Maspalomas International Film Festival, trade fairs in several municipalities around the island…… and much more. Society: GLOBAL promotes the social inclusion and incorporation of the disabled into the workforce through the GLOBAL Social Initiatives Foundation and its Special Employment Centre. This outlook based on cooperative values of Corporate Social Responsibility has led GLOBAL to diversify activities and create a group of companies that respond to the needs and demands of society: GRUPO GLOBAL, the GLOBAL Group of companies.